Create the perfect boot room for muddy boots…or paws! Here in Suffolk we have the most beautiful places to go for a Sunday stroll this time of the year. Whether that is to walk off that roast you’ve just eaten or to give the dog a bit of exercise. We all know that when returning from that walk you always have the mission of drying the wet and cold coats and then there is the muddy shoes and boots. Well here at Debenvale we have created many boot rooms in all shapes and sizes to suit all requests. Your space doesn’t have to be huge we can adapt your original utility room or have it as an extension to your existing kitchen space. 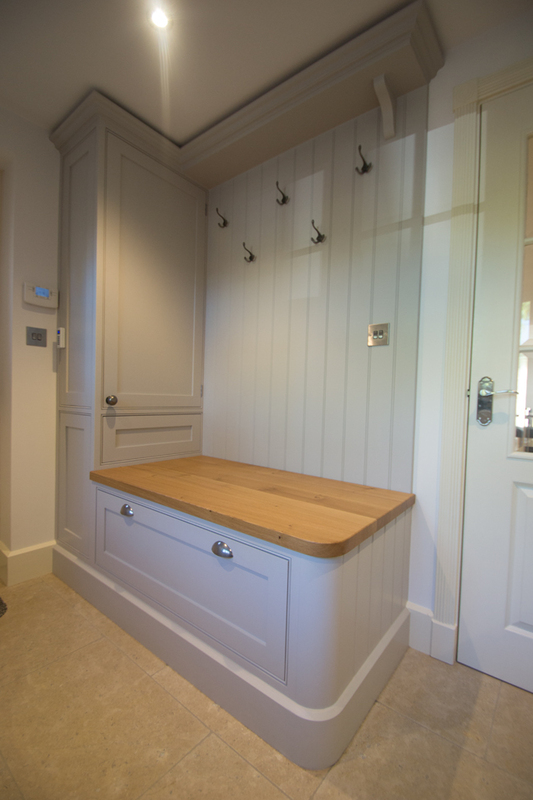 Creating a space off your kitchen ideally near a back or side entrance is ideal for a boot room. When designing a boot room, there is few things that need consideration. Materials, colours, size and storage are just few of them. 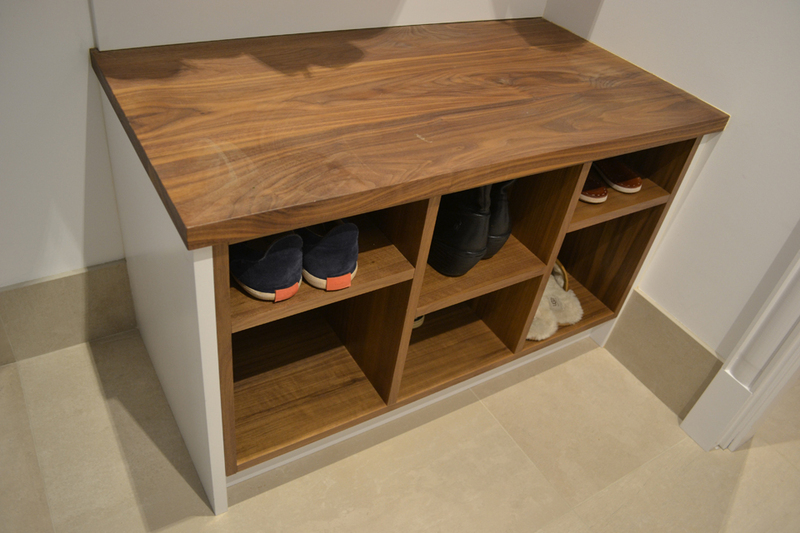 A well-designed boot room needs to include lots of storage. From tall cabinets to under seating storage. This is a great place to tuck away shoes and wellies and the occasional summer sport activity which will not be used on these winter weekends. 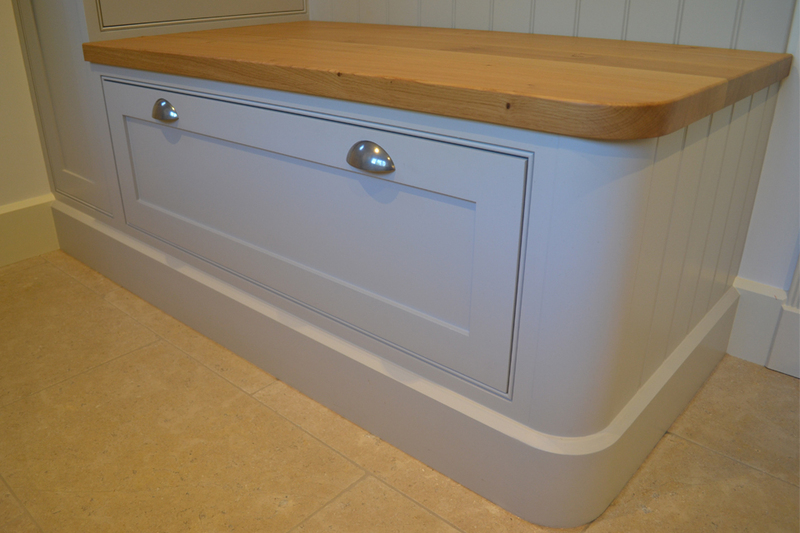 Creating a boot room though isn’t all about the storage it needs to include a well thought our practical space that incorporates the needs of the whole family. Items that will always be used like your dog walking boots or the gardening shoes that need to be close to hand. 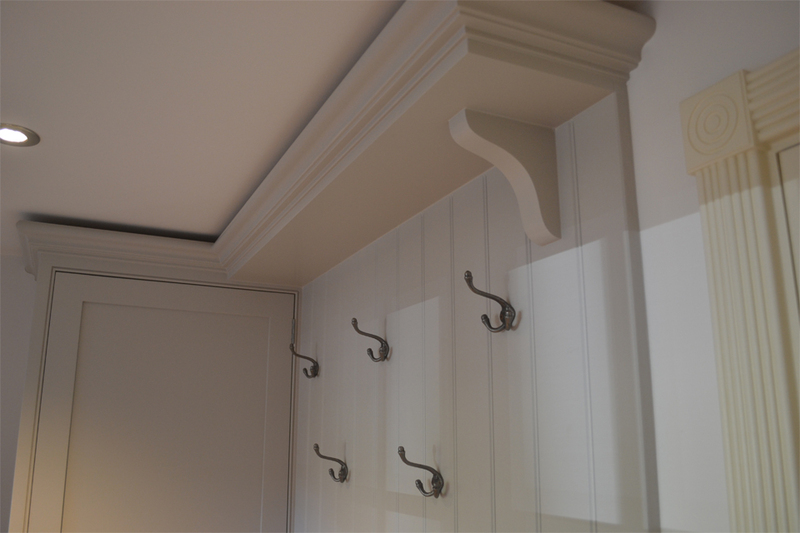 Incorporating shelves and coat hooks means it is all easily accessible and ready to use when needs be. Another part that needs clever thinking about is the floor, as this room has a lot of through traffic. The flooring needs to be a hard wearing material which is also easy to clean and works with the design detailing and colours. If your looking to include a boot room in your next project or for more information then give us a call on 01394 421214 or email us at info@debenvale.com. To request an appointment then click the link below.